Anticodes is a yearly three-city festival that takes place in Brest at Le Quartz, in Paris at Théâtre national de Chaillot, and in Lyon at Les Subsistances. The rough theme of the festival is the performing body, but with an eye perhaps to the way physical presence is changed or mediated by modern technologies. Each venue programmes their leg of the festival independently and according to their tastes, and the strand at Les Subsistances (an 'international laboratory' situated within the École nationale des beaux-arts de Lyon) has an interest in circus. 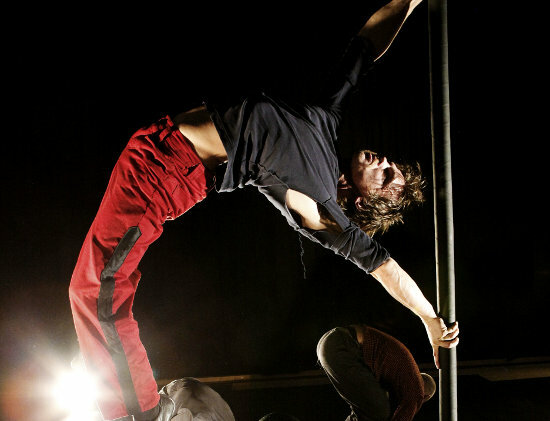 In 2010 as part of their mega tour of France, Race Horse Company present their phenomenally successful Petit Mal; Camille Boitel, a man frequently compared to Buster Keaton and other old-style clown greats, is joined by five artists for L’immédiat, a piece between circus and street arts and mime that takes place in a great heaped pile of domestic objects and junk; and 2 rien merci perform Moulinoscope, the third in a trilogy of pieces exploring the history of the circus showman, and a tribute to world cinema that takes the audience on a strange voyage to Asia.